Editor’s Note: This piece first appeared in our Spring issue and reflects the products available at the time of publication. To see our coverage of new mirrorless cameras, visit our Camera and News sections. When it comes down to it, there’s nothing magical about the mirror in traditional SLR cameras. While it performs a very specific function, the mirror isn’t required to take a photograph, and plenty of cameras in the pre- and post-digital eras already operate mirror-free. The rangefinder camera, for example, popularized by high-end manufacturer Leica, doesn’t use a mirror, relying on a viewfinder that’s separate from the lens. Compact digital cameras, the types you might stick in your pocket for vacation, also don’t use a mirror (although we’ll be talking about these types of cameras in a separate section). While the design of the SLR camera is an elegant solution to some key issues with optics and physics, the fact that today’s cameras are still using roughly the same mechanical design as they were using around the end of the Korean War is staggering when you consider how other technology has evolved. In an SLR camera, the mirror’s primary function is to bounce light up to an optical viewfinder (by way of a prism) so that the photographer can see the same image that will be captured at the film (or sensor) plane. In a rangefinder or a twin-lens camera, the viewfinder doesn’t accurately represent what will be captured, as the light hitting it is next to the imaging lens, and there’s a bit of parallax. This system also allows photographers to change lenses and see precisely what the final image will look like from a focal length point of view. When a photographer presses the shutter release, the mirror in an SLR flips up out of the way, allowing light to hit the film or digital imaging plane. After the image is captured, the mirror flips back down to allow light to pass to the optical viewfinder. The autofocus systems in SLRs also use the mirror to send light to a dedicated autofocus sensor, which means that there’s a blackout in focus tracking every time the mirror flips out of the way and it regains focus when the mirror is down. The mirror is a fundamental design component in modern cameras because the faster it moves, the faster the camera can begin focusing again, and the faster the next shot can be captured. The speed of the physical motion is then a limiting factor in both the focusing performance and the capture frame rate. A camera that captures images at 12 frames per second requires a more precise mirror mechanism and a more powerful motor than a camera that only captures at five frames per second. At a certain point there’s a physical limitation on how fast any mirror can operate, and that limits the performance of even the most expensive and powerful SLR. As a moving part, the mirror also contributes some vibration to the camera—this is usually a negligible amount of motion but is still enough to take into consideration. The mirror in an SLR presents another issue as we move into the era where photographers do more video work, since the mirror must be out of the way for video capture. For most SLR cameras, having the mirror raised for video means that there’s no way to perform autofocus—one of the roles of the mirror is to bounce light to the focus sensor, which is only possible when the mirror is down. There are a number of benefits to a camera that eliminates a mirror yet uses a single lens for focusing and capture, which we’ll talk about in a moment, but the trade-off of removing the mirror means that composition and focusing have to be done on an electronic viewfinder (EVF). Essentially a small LCD screen, the EVF has not had very good quality until recently, which limited the appeal of the systems. It wasn’t until mirrorless systems began to really improve their viewfinders that the various platforms really started to take off. The first popular mirrorless cameras removed the mechanical component not for any performance gains but instead to create a smaller camera. The mirror in an SLR is positioned diagonally from the top of the camera downward toward the lens mount and runs far enough to cover the sensor. To accommodate this long piece of glass when flipped out of the way of the sensor, the body needs to have a depth that’s slightly greater than the mirror held horizontally. Without a mirror, the lens can be mounted much closer to the sensor, which results in a smaller camera and smaller lenses. Cameras like the early Micro Four Thirds systems used both a mirrorless design and a smaller sensor than the traditional full-frame or APS-C design to create an incredibly teeny camera that could still accept interchangeable lenses. These cameras were marketed as good alternative choices for those looking for a go-anywhere design but who didn’t want fixed-lens compact cameras, and as a good step up for people getting into photography who didn’t want the size and weight of an SLR system. The issues with the EVF hampered the adoption of these systems among pros, as did the early solutions for focusing a camera without a mirror. Remember, one of the functions of the SLR’s mirror is to send light to a dedicated AF sensor, so without this mirror, another focus method is required. There are two different camera focusing systems: contrast detection and phase detection. Contrast detection is the least powerful of the two; it involves focusing and refocusing the lens to evaluate contrast between edges in the scene, and then moving the focus and retesting until the optimum contrast is reached. It’s the camera equivalent of the eye doctor “which is better, number one or number two” exam. Phase detection works by splitting the incoming light to two (or more) sensors. If the signals from the two sensors are identical, the image is in focus. If they’re not, it’s easy to tell how far to adjust the lens to make them meet up. Think of light as a waveform like on a histogram (or bell graph) hitting two sensors. If the waveforms match up, the image is in focus. If they’re a little bit apart, the distance apart tells the camera how out of focus the image is and how much it needs to adjust focus to line the waveforms up. 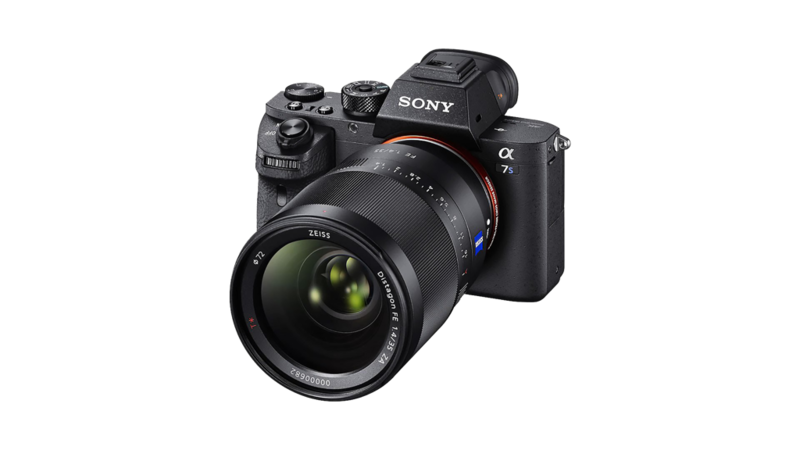 With a high-sensitivity, 42-megapixel full-frame sensor, the Sony a7R II goes head-to-head with anything found in the DSLR world, and cameras like it are helping to quickly close the gap between DSLR and mirrorless systems. Originally, mirrorless cameras only used contrast-detection systems, as contrast detection can be performed with the signal coming from the sensor itself. Phase-detection systems in mirrorless cameras use a more complex method of using some of the imaging sensor points as focus points. This method wasn’t widely used until mirrorless cameras began to be targeted to professionals. Thanks to rapidly advancing sensor design, the phase-detection systems on mirrorless cameras are incredibly powerful and are starting to rival those on pro-level SLRs. Since there’s no mirror to black out the AF system, phase detection in mirrorless cameras can be performed at a very high frame rate and can be used during video capture. This means that mirrorless cameras are capable of tracking subjects during video recording, something that only a few SLR cameras can do. 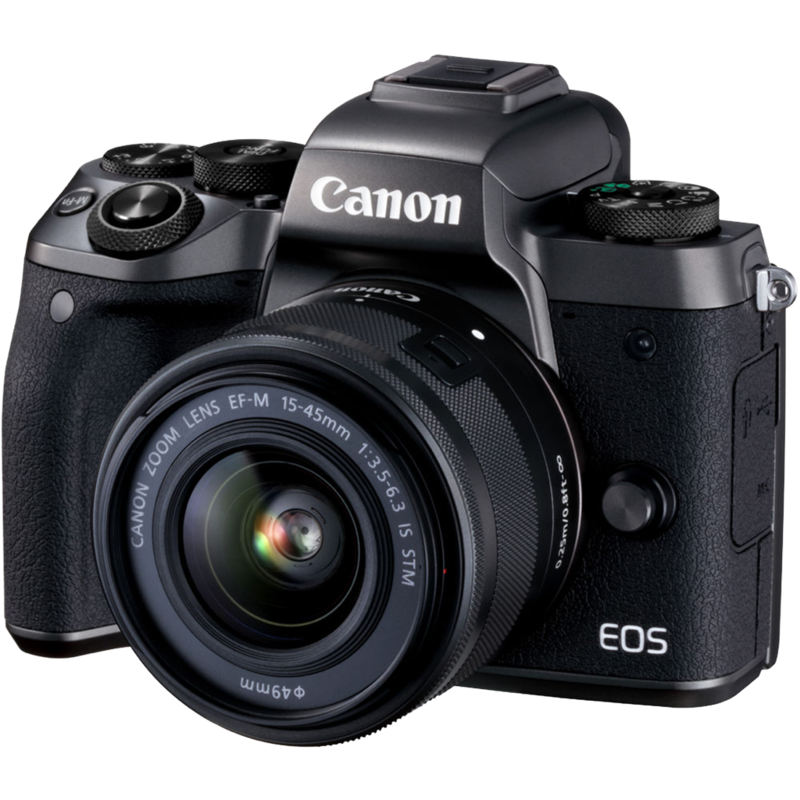 In fact, the main SLR rivals in the video capture arena come from Canon, who uses one traditional phase-detection system for still images but a proprietary on-chip phase-detect system during video capture. In other words, when these Canon systems are capturing video, they’re acting like mirrorless cameras. While mirrorless cameras are smaller than SLR styles (all else being equal), that shouldn’t be the main purchasing point, or more correctly, that differentiation will disappear with some of the brands. As mirrorless cameras get more powerful, their size will need to grow to accommodate faster processors, bigger buffers and larger batteries. This will eliminate some of the size benefits of mirrorless systems over SLR cameras. Much of the compactness of mirrorless systems has to do with the size of the lenses. For Micro Four Thirds systems, those lenses can be much smaller than similar focal-length lenses for a full-frame SLR, because the smaller sensor doesn’t need as much glass to cover the frame. APS-C and full-frame lenses can only be slightly smaller than their SLR equivalents, and much of the current size difference has disappeared as pro-level lenses have become available. If your main goal is to get the smallest camera possible, systems like Micro Four Thirds will be the best choice, although you’ll lose some image quality compared to an APS-C system, which will lose some image quality compared to full frame (again, all other things being equal). Since the mirror in an SLR performs so many important functions, what then, aside from the theoretical size benefits, are the reasons for purchasing a mirrorless camera? The answer comes down to technological advances and future performance gains. Interestingly, one of the areas that was formerly a weakness for mirrorless cameras has turned into one of the strongest features, thanks to improvements in technology. While original EVF systems inaccurately displayed colors, would lag during motion work and were poor contrast, today’s EVF systems are vastly superior. There’s still a difference between working with an EVF and an optical viewfinder, but the gap is narrowing, and there’s one trick the EVF can perform that an optical system never will—real-time display of settings. With an SLR, you see what the world looks like through the lens, but not what it looks like with the selected settings. With a mirrorless camera, you can set the EVF to display what the image will look like with the current settings. 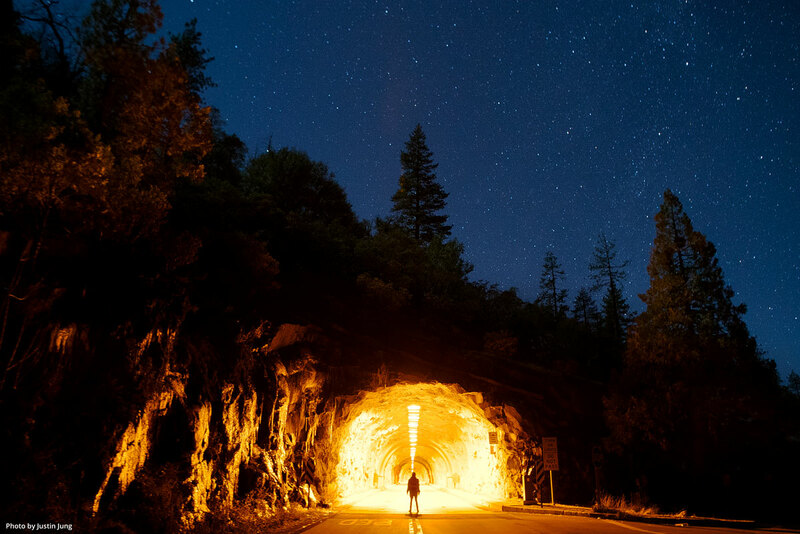 Change the exposure compensation on an SLR, and nothing looks different in the viewfinder—you can’t tell what the final image will look like. Dial in that same compensation setting on a mirrorless camera, and you can see in real time how it will look. It’s possible to see the effect of different shooting settings, lens settings and picture styles before you press the shutter release. Another key advantage of mirrorless shooting is only starting to be leveraged, and that’s the capture speed. With an SLR, the capture rate is dependent on the shutter speed and the mirror speed. The mirror needs to return to the lowered position to focus, and it needs to raise to capture the image. Because there’s no mirror to move, it’s possible to capture images at faster speeds on a mirrorless camera because the systems are able to focus without waiting for a mirror to return. Mirrorless cameras can also use the electronic shutter mode to capture images without using a physical shutter. In electronic shutter mode, cameras don’t open and close a thin physical object, but instead they send power to the sensor to “open” the shutter and turn off the current and process the data to “close” it. There are some image artifact issues here, but it can be used for some powerful capturing techniques. We’re already starting to see some cameras, like the Olympus OM-D E-M1 Mark II, capture at 15 fps using a mechanical shutter and capturing at 60 fps using an electronic shutter. The OM-D E-M1 Mark II can also capture in a mode where it’s continually buffering images, and when the shutter release is pressed, it records several frames both before and after the release is pressed. Not only can mirrorless cameras potentially capture photos better, but they’re much more adept at shooting video as well. Cameras like the Canon EOS 5D Mark II helped usher in the era of still cameras capturing cinema-quality video footage, but mirrorless systems take that a step further. Companies like Sony and Panasonic are pushing heavily into the SLR digital video space, adding professional-level features at a much faster clip than either Canon or Nikon. A few years ago, the number of lenses and accessories for SLR cameras vastly outnumbered what was available for mirrorless cameras; after all, SLR cameras have been in development since the 1960s. But the mirrorless manufacturers have aggressively released lenses and the equipment needed to make complete environments for the consumer and for the professional alike. Right now, the mirrorless market is still in flux. Each manufacturer is working to capture a piece of photographic market share, and for a slightly different demographic. This means that the various mirrorless systems have made some compromises—most notably at the pro level—compared to mature SLR systems. 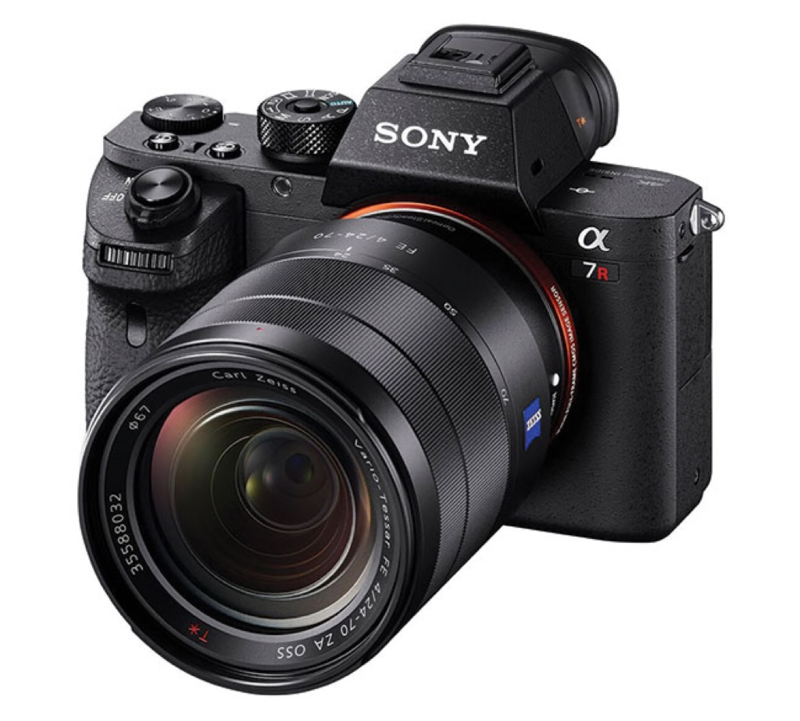 The Sony a7R II, for example, has one of the most technologically advanced sensors on the market, with higher resolution and better ISO performance than most SLR competitors, but it lacks the waterproofing design of cameras like the pro systems from Nikon or Canon. But the mirrorless market is just getting started, and manufacturers have until now been playing a game of catch-up. Mirrorless used to lag behind SLRs in speed, image quality, lens selection and more. Now the playing field is starting to level, and in many areas the mirrorless systems are starting to pull ahead. As technology improves, these cameras will introduce a new era of performance, and competition will result in a rush to add features and improve image quality as manufacturers work to make their lineups stand up against the competing systems. We’re already at a point where there are no bad cameras on the market, but these bodies are some of our favorites of the current crop of mirrorless cameras. Full Frame. The full-frame market is really heating up. Sony jumped into the mirrorless market first with APS-C cameras but then introduced the first full-frame mirrorless system with the a7. Since then, the company has refreshed the line several times and has added a wide array of pro-level and enthusiast-level lenses. 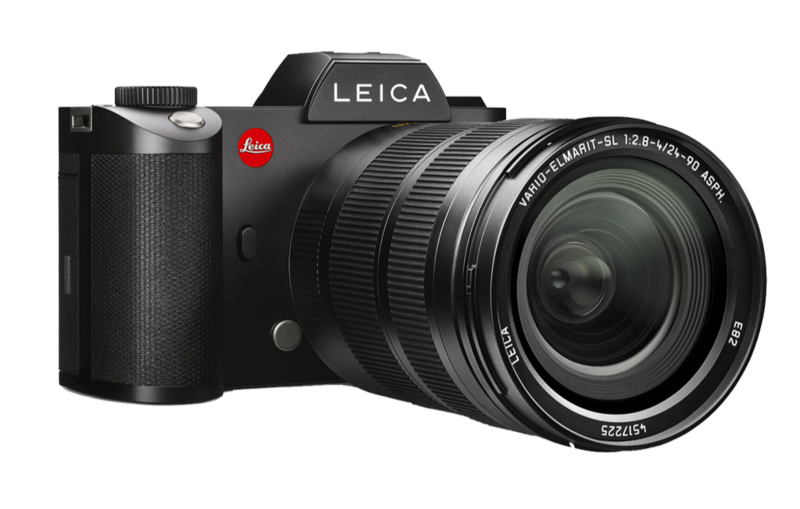 Leica jumped into the full-frame mirrorless market with the Leica SL, a weather-sealed and immaculately constructed camera. While there are lens adapters available to allow the SL to use other Leica lenses, there aren’t many native SL lenses, though the company has promised more. APS-C. Fujifilm’s first X100 lacked the interchangeable lens of many of today’s mirrorless cameras, but it was the first system to have a large APS-C sensor (compared to the smaller Micro Four Thirds system Olympus and Panasonic used), and it validated the concept of mirrorless for advanced imaging needs. The new X100T can be found in the Compact Guide. This is the most active category in the mirrorless market thanks to the competition of both Sony and Fujifilm products in this sensor size. Fujifilm has decided to go after today’s photographer who has the design sensibilities of yesteryear, designing cameras that look and feel more like traditional film cameras than do those from Sony. For Sony’s part, it has released a succession of cameras that seem to have the goal of packing the most features into the smallest body. 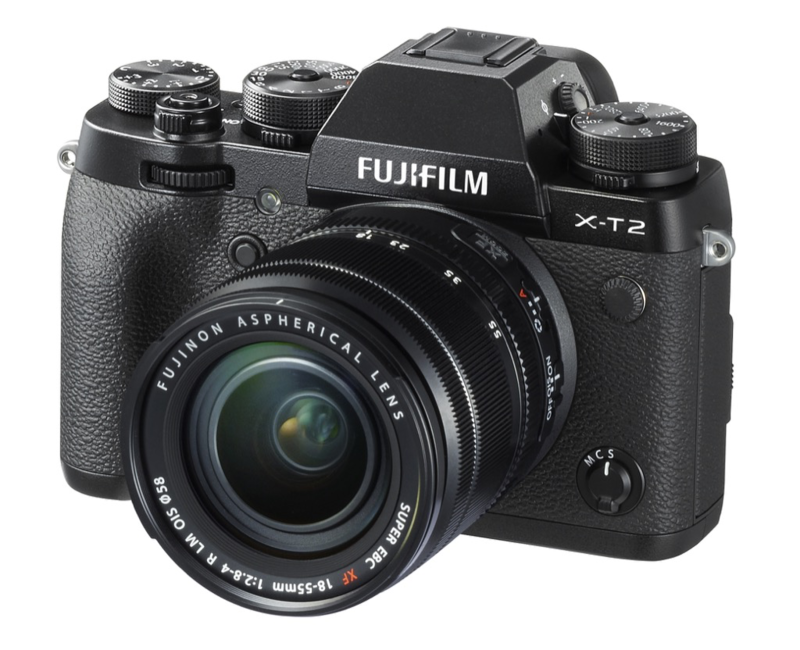 Fujifilm’s X-T2 followed closely on the heels of the X-Pro2 last year and has garnered a lot of praise for its thoughtful design, image quality and compact size. Fujifilm’s X-T2 uses a more classical SLR-style body while the X-Pro2 has a rangefinder design sensibility. It features a 24.3-megapixel sensor and a viewfinder that’s twice the brightness of the previous X-T1 and that refreshes at a faster rate for better-looking images—in fact, a special mode for shooting action sets the refresh rate of the EVF from 60 fps to 100 fps. 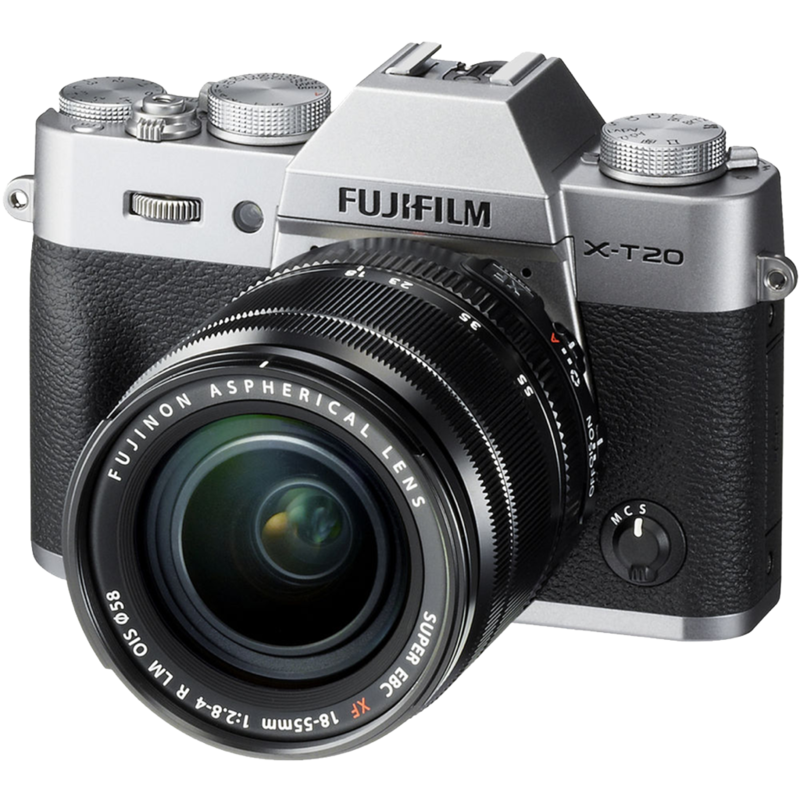 The body is durable, too, thanks to the all-magnesium construction and dust and weather seals, making the X-T2 a go-anywhere body that isn’t likely to let you down. Fujifilm used the same LCD screen as the X-T1, but a new jointed arm allows the screen to be used when the camera is held in the portrait orientation, making low-angle vertical shots much easier to compose and capture. Hot on the heels of the Sony a6300, Sony released an update to its top-end APS-C mirrorless system, and it’s built for speed and accuracy. The a6500 has what Sony says is the world’s highest number of phase-detection AF points, 425 of them, covering almost the entire sensor and using an AF system that Sony says is the fastest in its class. The a6500 uses a touch-screen LCD that allows the display to act as a focus-selection trackpad. Simply swipe across the screen while the camera is up to your eye and the focus points follow your movement, or simply tap on the screen to focus. 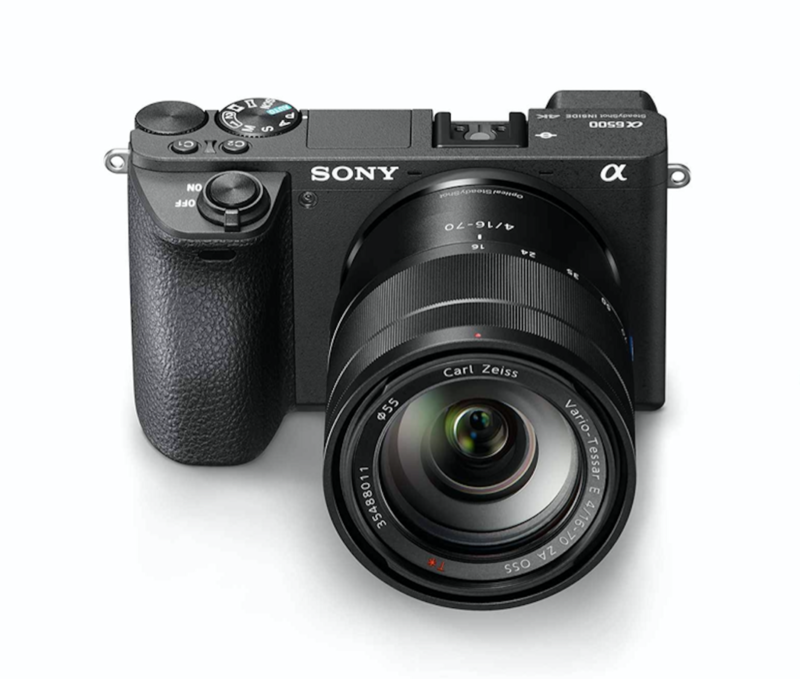 Using a Sony-designed 24.2-megapixel sensor, the a6500 has an ISO range to 51,200, thanks to a sensor construction that moves the copper wiring out of the way so that light can hit the photodiode without getting blocked by the circuitry. Like its full-frame counterparts, the a6500 is particularly adept at video, with 4K output oversampled from a 6K equivalent imaging area—which simply means that the camera captures way more data than 4K requires and uses this for high-res 4K video. The a6500 can record up to 5x slow motion or up to 60x “Quick Motion,” and this speed-enhanced footage can be played back in-camera. Canon has been a bit cautious in the mirrorless space, but the company’s EOS M5 marks Canon’s more aggressive strides into the market. Based around a 24-megapixel APS-C sensor, the camera uses the Dual Pixel AF system (that we mentioned in the comparison section above) and can capture images up to 9 fps with focus locked and 7 fps with continuous AF. Canon borrowed heavily from its SLR design sensibilities for the M5, which has a nice protruding grip that’s easy to hold, with a familiar set of dials, including dedicated controls for camera modes. Micro Four Thirds. Olympus and Panasonic are the two big players in the Micro Four Thirds line of mirrorless cameras, which, thanks to the small sensor size, are known for their compact size. Recent product updates from Olympus kick up the image quality and system performance, while the new Panasonic camera sets the benchmark for video performance. Like the difference between Fujifilm and Sony, the two companies have a slightly different design ethos, with the Olympus cameras taking on some of the retro designs of film cameras from the 1970s and Panasonic systems looking more like miniaturized SLR cameras. 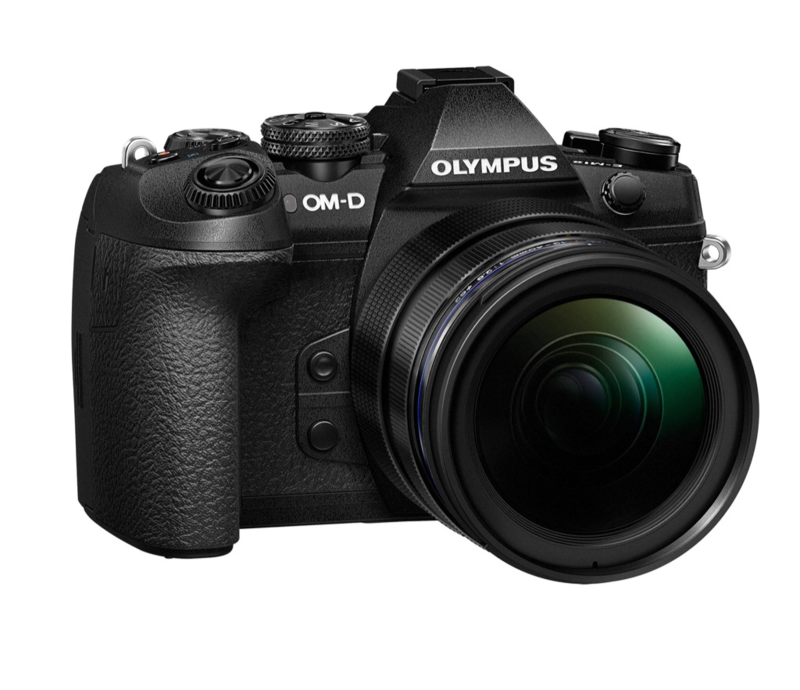 Olympus has always boasted about the small size and the fast performance of its MFT cameras, but with the OM-D E-M1 Mark II, it’s also boasting about the image quality, low-light performance and a range of innovative features. The E-M1 Mark II (as it’s often called) offers a shooting mode that captures up to 60 fps in single AF and 18 fps with full C-AF tracking when using the electronic shutter. When using the mechanical shutter, the camera can capture images from its 20-megapixel sensor at 15 fps, making all of the shooting modes on the E-M1 Mark II faster than even the fastest DSLRs. It can also capture RAW files. Advanced shooting modes abound, including a 50-megapixel “High-Res Shot Mode” that captures eight consecutive shots and then makes an in-camera composite. The E-M1 Mark II also features Silent, Live Composite and Live Bulb modes for nighttime shooting, and a focus-stacking mode for super-detailed macro work. The E-M1 Mark II has built-in five-axis stabilization and 121 points of AF, and can record “cinema-quality” 4K video at 24P and 4K video to 30p, making the stabilization incredibly helpful for video shooters. 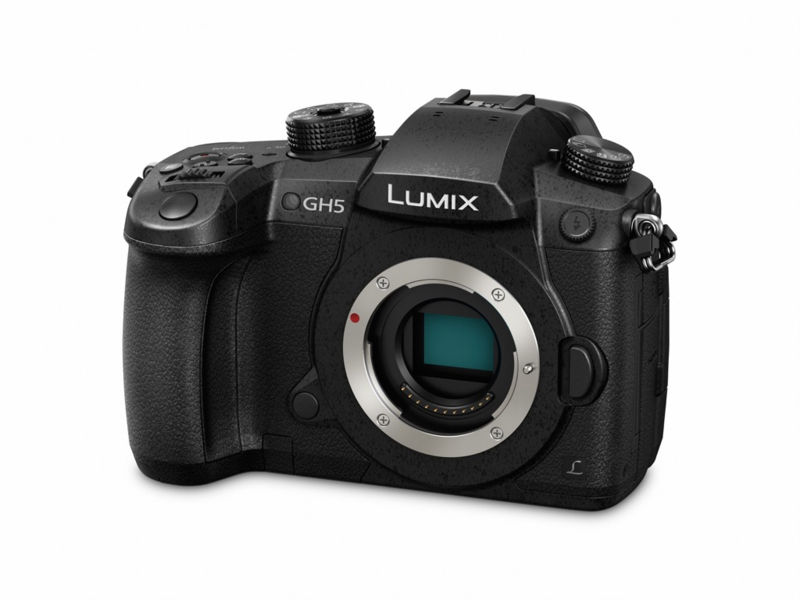 Like Sony, Panasonic’s imaging roots are in professional-level video equipment, and the new LUMIX GH5 offers some of the best video capabilities in the mirrorless market. The camera records stills and video using a 20.3-megapixel MFT sensor with no low-pass filter (for increased sharpness) and can capture 8-bit 4:2:0 4K video internally at 60p or 30p 4K at 10-bit 4:2:2, something no other mirrorless camera can do. A 180 fps HD mode allows for slow-motion capture. The 5-axis stabilization and Video Dual I.S. 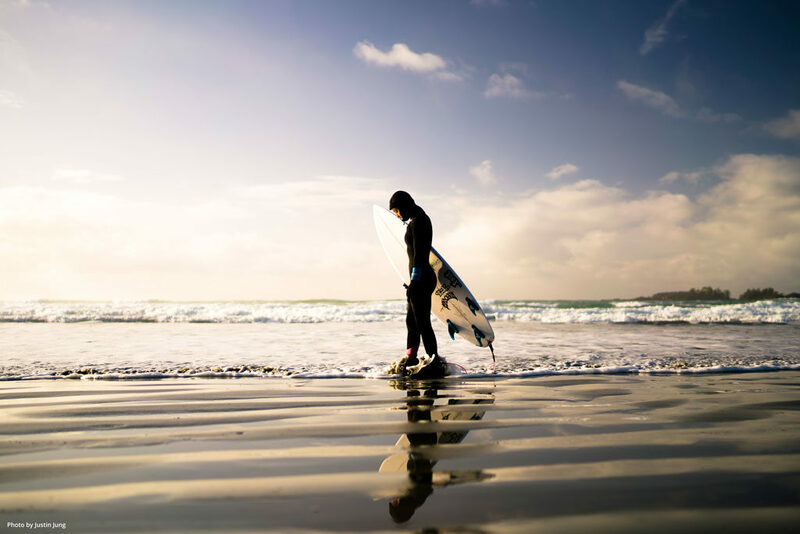 provide up to five stops of stabilization with several Lumix lenses. The 225-point AF system can capture at 9 fps, and the camera can capture 12 fps with focus locked. With this camera, Panasonic has introduced a 6K photo mode, which allows shooters to grab an 18-megapixel still image from a stream of 30 fps video shot at 6K resolution. That’s a good point. I shot with the F2H, it was a great camera.